Dr. Zuhair S.M Al Shun as Ambassador of Palestine states that “Palestine appreciates Indonesia that acts fast and responsive for supporting the independence of Palestine” through Medical Emergency Rescue Committee (MER-C), it show of friendship and support between Indonesia and Palestine, such as the establishment a hospital in North Gaza, which able provides health services more than 300,000 Palestinians have benefited for medical care. According to Dr Arif Rachman, sp. Rad as the Presidium of MER-C, the effort through a hospital was something that became the fundamental need, which built through Indonesians raised money. 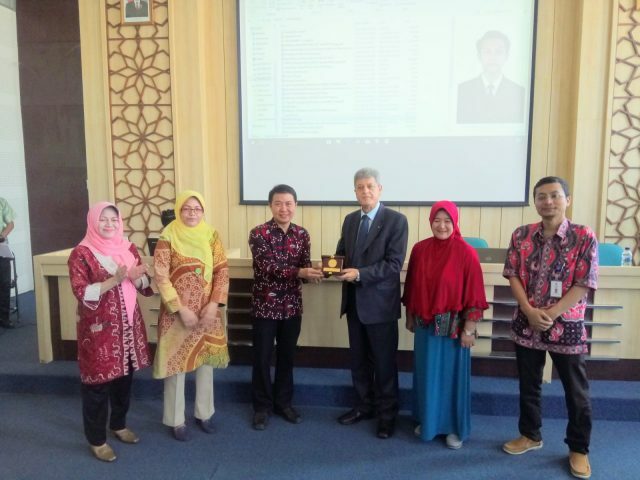 Furthermore, the seminar was conducted several session and discussion, Dr Sifdiq Jatmika on the view of international relation argues that “Every president candidate Indonesia should show off the position to support the struggle of Palestine”, said Sidik, and the understanding of non-organization contribution for international relations studies. Also, Hilman Latief argues on the view of historical and Islamic studies; Indonesia Palestine relation: aid and friendship, the power of solidarity has seen since in the first independent of Indonesia in order to establish relation and partnership. Indonesia Muslim solidarity as the largest Muslim in the world strength and awareness to support Palestine. Said Hillman.